In layman’s terms, cloud computing is the technology which allows people like you and I to access an online service or product which resides on the internet. Instead of it being housed in a hard drive you have in your home or workplace, it’s conveniently stored on “the cloud”, available at anytime and using any device that has access to the internet. A good number of everyday internet users only realized what the ‘cloud’ was when Dropbox came out (if you don’t have an account, make sure you check it out!). Soon enough many more services would emphasize the use of the cloud later on. Something you’ve probably used forever on the internet - email - is essentially a picture of the cloud! You can access it anywhere, from any device and any changes you make on one device will take effect on all of them. 2) You don’t do it at all. Make it available to everyone, thus make it affordable, even free. Make it easy to use, thus make a user-friendly, hassle-free interface most beginners will understand. Make it accessible and available on a wide scale with no platform restrictions – on the Internet; on the cloud! We have largely succeeded in delivering what we believe is a product people will feel proud of using when sharing knowledge with others. Our approach has always been to meet people’s demands after a good amount of market research, creativity and gathering feedback – and this usually yields satisfactory results. And it has! Epignosis, parent company of TalentLMS and eFront has been invited to participate in the CloudBeat 2013 conference which will take place in San Francisco on the 9th and 10th of September. What does this mean? Participating in a world-renowned event like CloudBeat means that our efforts have been fruitful. We are being recognized alongside companies like Pivotal, Optimizely and others that have largely contributed to the development of Cloud Computing the way it is today. We will also have an opportunity to share the stage with iconic figures from enterprises like IBM, LinkedIn, Dropbox and others! Dimitris Tsigos, our co-founder, will participate in a panel discussion entitled “Learning gets Cloud Powered” and he will be joined by other influential figures in the eLearning world to discuss how cloud-based technologies are changing education, and the tools that are now available to make it more accessible, connected and impactful. Why is that important for you? Our growth can mostly be attributed to the feedback from our users who helped us to create a better and more personalized product. Being at the forefront of the Cloud Computing evolution is a huge step towards becoming an even bigger player in the eLearning industry, and that says one thing: you have helped us to get where we are, and we are committed to becoming everything you signed up for. So… if you happen to be in San Francisco on September 9th join us at CloudBeat! Full event details can be found here, and you can save 20% here. 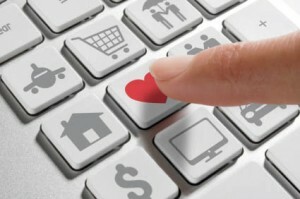 This Valentine’s day we thought we’d ask our dear friends and supporters to share their love for us online. Our attention has been brought to several ratings sites and we’d like to hear what your real thoughts are about us! If you have a few moments to spare, and love us (or not!) please check out the links below and let us know what you think of eFront and TalentLMS! 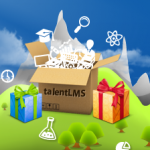 And if you especially love TalentLMS here are some links for you! This means a lot to us so thank you <3 and have a wonderful Valentine’s Day all! The Tin Can API is a brand new learning technology specification that offers a simpler and more flexible way of capturing learning activities and sharing them with a variety of other systems – opening up an entire world of experiences (online and offline). A wide range of systems can now securely communicate with a simple vocabulary that captures this stream of activities. The Tin Can API is a product of SCORM evolution – i.e. it’s practically the next generation of SCORM – and it eliminates many of the old limitations and restrictions. It is suitable for use in any kind of learning including: mobile learning, simulations, virtual worlds, serious games, real-world activities, experiential learning, social learning, offline learning, and collaborative learning. For a full introduction to Tin Can and how it differs to SCORM please see this post, or read “Tin Can Demystified” by Epignosis’ CTO, A. Papagelis. Statements are the ‘substance’ of the Tin Can API. Each statement corresponds to an experience that has occurred or is taking place right now. The Tin Can API uses (JSON formatted) statements containing any activity that needs to be recorded and sends them to a Learning Record Store (LRS). Each statement uses this simple form: “someone did something” or [actor]+[verb]+[object]. The main benefit of the Tin Can API is that it frees your data from a pre-defined LMS, promoting mobile, offline or even social learning. Epignosis’ TalentLMS offers a basic LRS implementation where you can send and record any learning experience. You can enable the Tin Can API for your domain, through the Basic Settings of your account (administrators only). Once enabled, you can get your private key used for authentication when communicating with the LRS. Statements can be sent to the LRS by posting them to the following URL: http://yourdomain.talentlms.com/tcapi/ . If authenticated successfully and provided that your JSON statement is valid the activity will be recorded and displayed in your timeline – in any other case a descriptive error will be returned. At http://yourdomain.talentlms.com/dev/tincan/ you can find an example activity, where you can see in action how it communicates with the TalentLMS LRS. Fill in the LRS endpoint URL, your secret Tin Can API key and the email of an existing user in your system. Start navigating through the sample course, and check in real-time the statements recorded in your timeline. In the same example activity you may also use an alternative LRS, such as the public LRS provided by SCORM Cloud. Use: https://cloud.scorm.com/ScormEngineInterface/TCAPI/public/ & enter a random API Key and your email. Navigate through the course, and visit http://tincanapi.com/developers/resources/statement-viewer/ to see all statements that were recorded. You may also download this sample activity, which is located at http://yourdomain.talentlms.com/dev/tincan.zip. You just unzip the files, place them in a web server running PHP and you’re ready to go! Using Articulate Storyline you can publish a project that supports Tin Can API, ready to use in conjunction with an LRS. Publishing for Tin Can API in Articulate Storyline is really easy – just select “Tin Can API” as LMS in the Output Options section (detailed instructions here). TalentLMS offers you the ability to upload Storyline objects which were published for Tin Can directly into a course unit. Just select the option to create a SCORM/Tin Can unit, upload your Storyline zipped object, and save your unit. Start experiencing your new unit and all Tin Can statements produced will be recorded and displayed in your timeline. Epignosis will also announce the integration of the Tin Can API with eFront LMS next month – so please look out for updates in the coming weeks! What better time for new toys if not Christmas! Today we would like to announce a new version of eFront. This maintenance update includes important speed optimizations, full text-search for documents for our enterprise clients, a module to bootstrap modules production, a new sleek modern theme, dozens upon dozens of minor bug fixes, and several tweaks to make your favorite tool even more enjoyable! As we pick up once more on eFront development we will reuse some of the TalentLMS visuals and functions for a next version scheduled for March. All eFront development is being done ensuring compatibility with previous eFront versions. This is a hard requirement that slightly limits our ability to improve everything we wanted to improve; but ensures an easy transition to the newest eFront version for all of you. This version brings considerable performance updates for installations that have a large volume of data and users. Especially with branches and tests we have reworked substantially their underlying engines. One of the key characteristics of eFront is its extensibility through modules. In this version we have bundled a bootstrap-module that lets you create an eFront extension by completing a form with required characteristics. It certainly won’t do all the work for you but it is a major time-saver if you plan to create an eFront module. “Empty spaces” questions now accept number-ranges. For example you can set as an acceptable answer a range 1-10. If the end user enters a number between these extremes it is considered correct. Several improvements on the separation between Branches. We would like to personally thank all of you who helped us spread the news about TalentLMS. It has been 7 weeks since our official release and more than 1400 accounts have been created since then! We have very ambitious plans for TalentLMS and we will keep improving it whilst maintaining its aesthetic integrity and simplicity. Today we would like to announce a new product update that includes many important additions. Continue reading for a list of what’s new! As well as English we now support German, Spanish, French and Greek. You can modify the language of your system from your Account settings. Stay tuned for additional languages in the near future! We have engineered support for TinCan, a new protocol that fits well with TalentLMS since it is simple and built with mobile applications in mind. TinCan is the successor of SCORM. 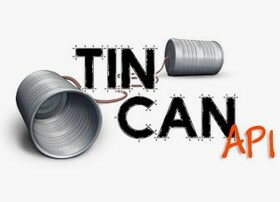 For more info on TinCan check the following blog post (TinCan demystified). We have increased the upload limit to 100MB/file for small accounts and 300MB/file for bigger accounts. The conversion speed for your uploaded video has been increased as well. Did you know that we convert all video files so you can play it in any device? Feel free to embed full web-pages directly with this new unit type. This update comes with several improvements on Branches including branch-specific payment collection and support for mapping between external domains and branches. Each branch can have its own language. 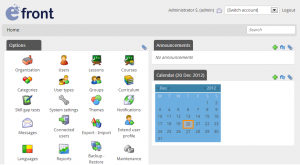 We streamlined the SCORM support especially for Articulate products like StoryLine. A lot of additional improvements including: a new survey question type (open-answers); countdowns on each form element; more supported currencies and several API improvements. You ought to check out the improved WordPress plugin. Have a suggestion for future improvements? Feel free to make suggestions or vote for your desired features at our UserVoice portal. Until next time, have fun and keep learning! So, now we have two LMSs – eFront and TalentLMS. Both products share characteristics but they are also very different in some very important aspects. In this post I will try to better clarify the main differences to help you choose the LMS that best fits your needs. eFront is primarily focused on functionality, whilst the TalentLMS is focused on simplifying the learning process. TalentLMS has no match if you want a quick learning solution. eFront on the other hand comes with a much broader functionality (in communication tools alone we offer: forums, blogs, wikis, chat, collaborative content comments, personal messages, course announcements and a calendar), it has a number of extension modules and an expandable architecture that makes it a perfect fit for demanding cases and learning scenarios. Although eFront tries to be as user-friendly as possible, the extended functionality and customization options imposes some additional complexity – this is unavoidable. So, if your learning needs are fairly simple and you don’t have much time then TalentLMS is by far your best choice. Otherwise, you might better be better off with eFront. Another important difference is the form of service delivery. eFront comes as both a deployed and hosted solution. Many organizations prefer to host their elearning systems themselves. Normally those companies have important security restrictions and an IT department. Even when organizations want to outsource their elearning infrastructure, eFront comes with a dedicated hosted server solution. This is a managed hosting solution and the customer retains the ability to make heavy customizations to his eFront account. TalentLMS on the other hand comes as a pure Software-as-a-Service (SaaS). You can start using it immediately (nothing to download and install, no person in between) and you can update, upgrade and downgrade your account at any time. A SaaS solution is based on a much more complex architecture but provides important benefits for end users (peace of mind, easy-to-start, centralized security, no technical headaches) and the company (fewer costs, easy to grow). One problem with SaaS solutions is that the products are to a large extent standardized so it is rarely possible to make heavy customizations to the interface or functionality. However, most SaaS (including TalentLMS) offer some sort of API to integrate with other products. eFront, as a mature product, has been extensively tested in heavy environments under excessive stress and in all possible scenarios. It has an extensive user base that is happy with the way it works. When thinking about moving forward we do have to consider this user-base. We do not want to make the product non-upgradable for them. This restricts our ability to make drastic decisions about the product mix and technologies used. This is not endemic only to eFront; this is a problem faced with almost all software products at some stage during their lifespan. The choice to build TalentLMS was made so we could try a number of new technologies, tools and best-practices we wanted to try for a long time without making drastic changes to eFront. This means that TalentLMS as a younger product that has yet to prove its value and robustness. The pricing is a bit different as well. eFront starts from totally “free” for the open-source edition and can escalate to “expensive” large installations for the Enterprise edition. You can “buy it” (deployed solution) or “rent it” (hosted solution). On the other hand, TalentLMS uses monthly subscriptions. You can start with a free subscription and based on your needs update, downgrade or cancel at any time. We see the two products as complimentary. With two learning solutions we can cover a very wide spectrum of the eLearning market. As time passes, some functionality will be transferred between the two products, we will always make sure however that their distinct nature and focus is retained and emphasized. Where do I get started with TalentLMS if I want to know more? You may have already heard the rather exciting news that TalentLMS was released on Oct 5th. Since then we’ve been bombarded with questions on how it’s different to eFront, how they complement eachother, what the benefits and features are, why you’d choose one over the other etc. so we’ve got together a two-part blog post to cover all your questions. Today we will answer your basic questions and the second post from CTO Athanasios Papagelis will come in the next week, and that will cover TalentLMS use cases and show you how, depending on your needs, you may choose TalentLMS over eFront or vice versa. So just what is TalentLMS? 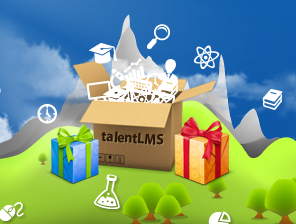 In a nutshell, TalentLMS is a handy learning platform for small and medium organizations. It’s aimed at “democratizing learning” by making premium elearning technologies affordable and accessible to all companies – no matter what the size. What’s more, TalentLMS is really simple and there is no need to install, upgrade or backup anything since everything runs from the CLOUD. TalentLMS makes effective usage of your time and maximizes the training output. To do so we have eliminated a lot of the fancy but unnecessary functionality, enforced an aesthetic integrity on content presentation and emphasized the reuse of already existing training material. If your organization is serious about training its employees or customers and is thinking about online training being used in conjunction with a training process already in place, or even as a complete replacement – then TalentLMS is for you. TalentLMS can be used in a wide range of industries that need to offer some sort of training. These include but are not restricted to: Education, Retail, Manufacturing, Construction, Public sector, Arts and Entertainment, Mining, Hotel, Non Profit, Marketing and Advertising, Law, Finance and Accounting, Real Estate, Health Care, Well-being and Non-profits. Actually, almost any industry can make use of some good training! There are a variety of benefits when you move to online training such as: reduced costs, reproducibility of training, no time or place restrictions and comprehensible reporting on who was trained in what. TalentLMS may also offer a new revenue stream since it allows you to create and sell your own courses to end-users. We offer all the capabilities you need to create courses, integrate with WordPress and sell your courses. For the user, what are some of the product highlights? TalentLMS runs from the cloud, but that does not mean it’s insecure – in fact, TalentLMS is as secure as it gets. All data is transmitted over a secure and encrypted channel. People cannot share your material with their URL since it is expires after a few minutes. For more on security please visit this page. Super – where do I get started with TalentLMS if I want to know more? Epignosis Ltd., a global provider of Enterprise and Open Source learning management systems, including the multiple award-winning eFront LMS, today announced the release of TalentLMS – Epignosis’ newest product-as-a-service, specifically built for small organizations. TalentLMS redefines what provides real value to small organizations by eliminating superfluous functions, enforcing the aesthetic integrity of the user interface and content presentation, and emphasizing the reuse of already existing training material, content and multimedia. TalentLMS maximizes training output and saves organizations both time and money. “After several months of Beta testing and refining, the TalentLMS has been officially released today. This is just the first of many steps towards building the best learning tool for small organizations – a section of the market seriously neglected by other industry players. In TalentLMS we revisit and rethink everything around eLearning, from how to make it super-easy to start with, to creating courses in a few minutes, optimizing the user experience, maximizing the learning value and making it affordable for small businesses. We improved and simplified all aspects of the equation to turn eLearning from a no-go to a big YES,” said Athanasios Papagelis, Founder and CTO of Epignosis. Epignosis Ltd, vendor of eFront and TalentLMS, was founded in November 2003 as part of the entrepreneurial ecosystem, StartTech Ventures. Epignosis is headquartered in the United States, with a global network of VAR partners in more than 60 countries. Fueling the learning revolution, Epignosis launched TalentLMS in 2012 in a quest to democratize learning and make best-of-breed learning technologies accessible to all small and medium-sized organizations. After several months of Beta testing and refining, TalentLMS has been officially released today, October 5th. This is just the first of many steps towards building the best learning tool for small organizations. And boy, we have a very active Roadmap.TalentLMS is based on People, Principles and Technology. In this short post I would love to talk a bit about all three of them. We’ve got a nice team here. We do not focus on brilliant individuals (though we do have a few!) but on building a winning team. We understand that everyone has his or her role as long as we all agree on the goal and the right attitude for achieving it. I would especially like to personally thank our technical team responsible for building TalentLMS. A big thanks goes out to Periklis, Andreas, Vasilis and Christos. The right product is based on the right principles. From the beginning we had a very simple goal: to make eLearning a reality for the majority of small businesses. Currently, only a tiny fraction of small businesses (say, up to 200 users) invest in learning in any form. And there is good reason for that – starting from “I don’t get it” to having bad experiences for the brave few who try it. In essence what eLearning has offered till now is a lot of work with little benefit. In TalentLMS we revisit and rethink everything surrounding eLearning – from how to make it super-easy to start with, to creating courses in a few minutes, optimizing the user experience, maximizing the learning value and making it affordable for small businesses. We improved and simplified all aspects of the equation to turn eLearning from a no-go to a big YES. Building such a tool was above all fun. We had to work with new technologies like Bootstrap for the UI, Stripe for the payments, Rackspace for the cloud servers, Amazon S3 for file handling, Asana for project management, Transifex for localization and UserVoice for feedback and support. We tried almost everything we wanted to try for a long time. In essence we created a playground for developers. And hopefully, you will find the results satisfactory.